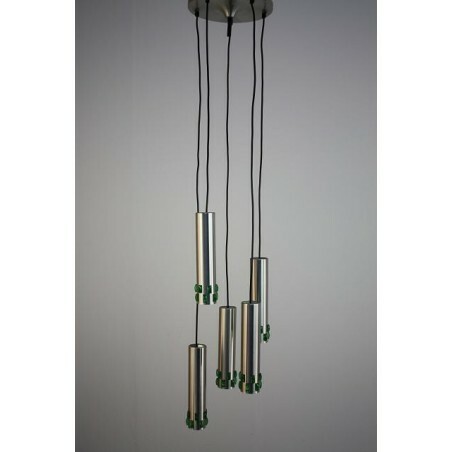 Beautiful original hanging lamp from the seventies. The lamp is made of aluminum. 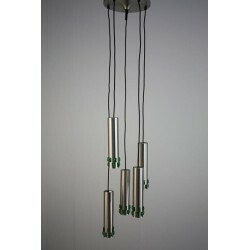 In the aluminum tubes are to the bottom green glass pieces put, when the lamp is on this is given a nice effect. The lamp is in good condition. 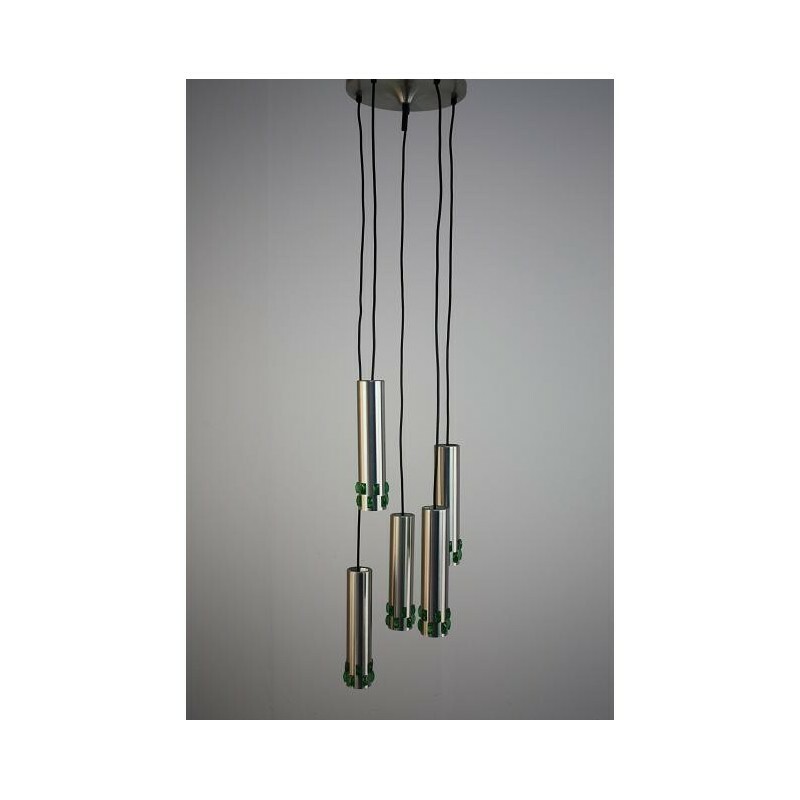 The size is 30 cm in diameter and up to 135 cm high (adjustable).